A beautiful angel figurine holding tulips in her arms. The skirt reads: "The most precious thing that comes from God is a Mother's love." 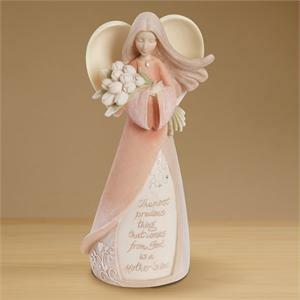 With the soft pastel colors, exquisitely formed features and loving sentiment this angels is a wonderful gift. 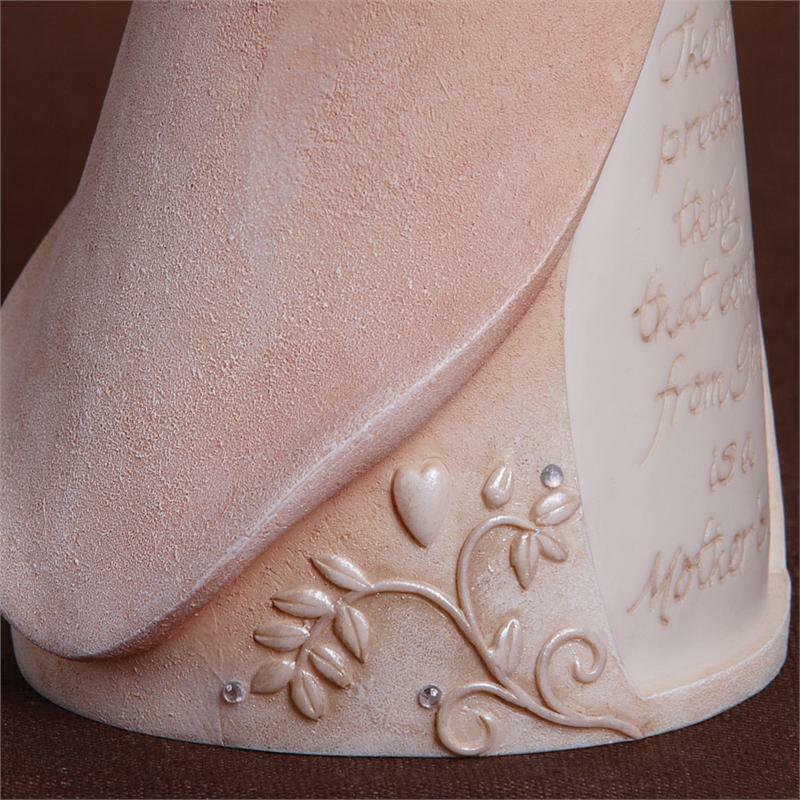 It measures 7.5" high and has rhinestones sprinkled on the skirt of the angel for a touch of sparkle. Carved in the round with a soft texture and thoughtful detail.